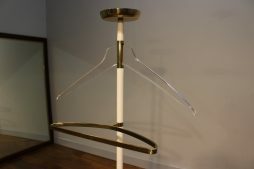 Mid-Century Coat Rack | Interior Boutiques – Antiques for sale and mid century modern furniture, french furniture, antique lighting, retro furniture and danish furniture. 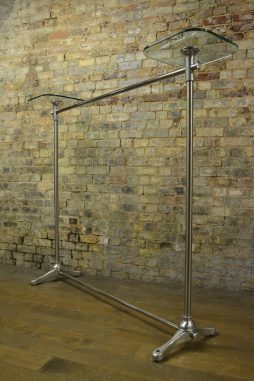 This rail was designed by Nigel Coates, made of polished aluminium. 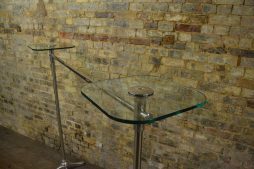 It has two glass shelves, and is ready to use – ideal for shop or home use. 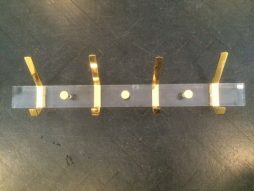 Stylish Italian 1970s vintage brass valet stand. We sourced this unusual piece in The Netherlands , but think it looks more Italian or possibly French. 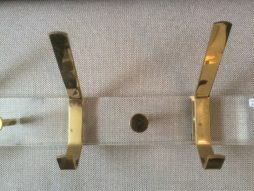 The mix of brass , Lucite and white enamelled metal are typical of the 1970s. The quality is excellent. 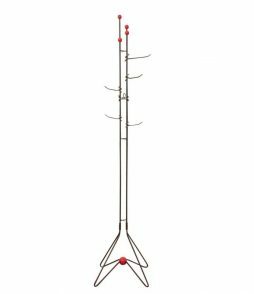 There are plenty of plain run of the mill valet stands out there , vintage and contemporary , but this one stands out as being truly special . It’s got that extra umph that you’ll not see often in a valet stand . It’s in great vintage condition . 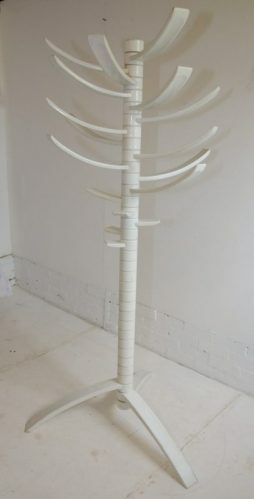 A coat rack by French designer Roger Feraud. Powder coat with musical note design. 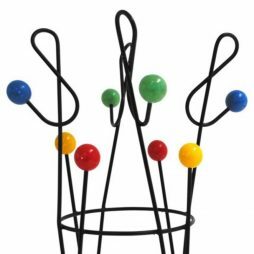 Exceptional Fontana Arte wall mounted coat and hat tidy. 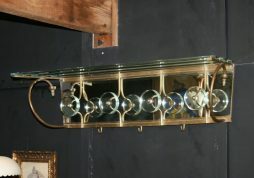 Dating back to the 1940s, with four glass hooks and three brass hooks and a hat shelf at the top. A truly magnificent piece. Condition Report : Excellent . 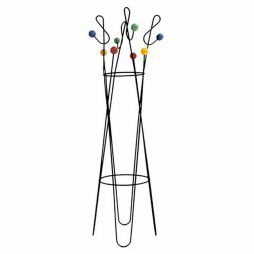 Multi branched Sculptural “Renna” coat and hat stand designed by Bruce Tippett and manufactured by Gavina, Italy, 1968. 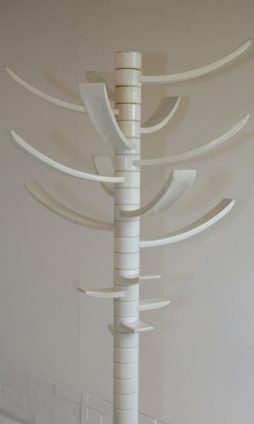 White lacquered wood with 17 revolving adjustable arms on a 3 legged base. This is an early wooden example as later models were plastic. All the arms swivel to create endless possibilities. 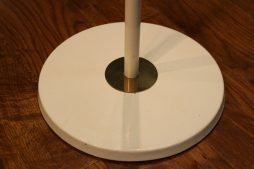 A 1960's off white GRP hallstand with articulated hooks and umbrella holders signed to the bottom G.C Piretti. 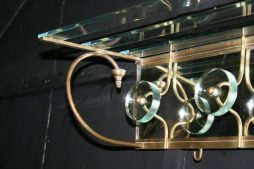 Antique French Perspex Coat Rack.